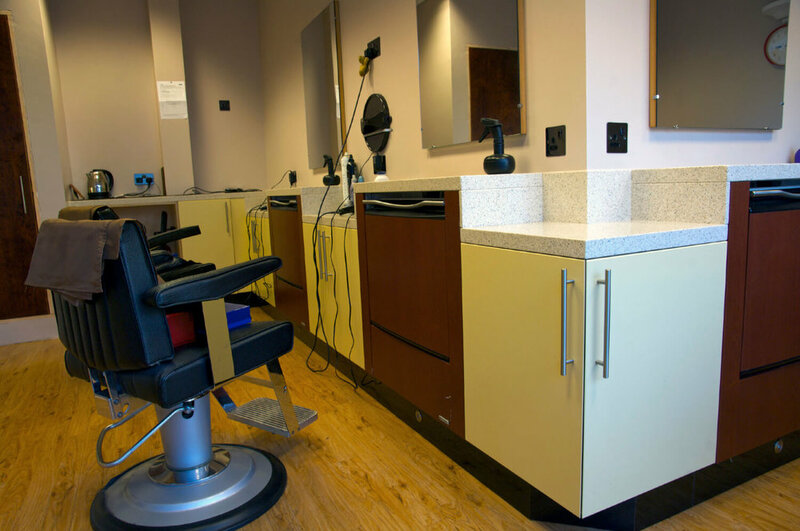 Back in 2009 a local barbers shop asked if I could design and refit their shop. The brief was for units for storage below integrated wash basins, set into Maia fabricated worktops. The doors were finished in bright Dorset cream paint, providing total durability for constant daily use. Out of the ordinary, this was a really enjoyable fun project, which I was really pleased to be commissioned to do.